There are three basic ways homes reach the market: completely empty, lived-in, or staged. The ones which sell the quickest and above market value are typically staged homes. This is something we see frequently in our Park City real estate market. If you’re looking to list your home, give us a call. Brad Jensen specializes in selling property through out the Park City area. In the meantime, consider these basic types for staging your home. A lived-in home shows the potential buyer what it would be like to live in your home, not their own. From family photos to piles of mail, buyers viewing your home will see you everywhere. It can create a narrow minded perception of the living space your home has to offer. An empty home can sometimes be too much for the buyer as well. Their minds will attempt to place furniture throughout the home as they view each room, but again, their perception of your homes potential is limited. Once a house is staged, personal belongings and decor are removed, adding space while removing distractions. For example, instead of a living room with comfortable, oversized furniture and family photos, a staged room would have neutral furniture and no personal touches so that a potential buyer can clearly visualize their own belongings adding character to the room. They’ll also usually get to see furniture arrangements they wouldn’t have considered otherwise which allows them to visualize more possible uses for the space. Many sellers find their home much more spacious once staged, never realizing how much space their belongings took up. Staging a home is a nonverbal way to convey to a buyer that the home is in good order. Like when you enter a hotel room, you expect a high level of cleanliness and order, with everything in its place. 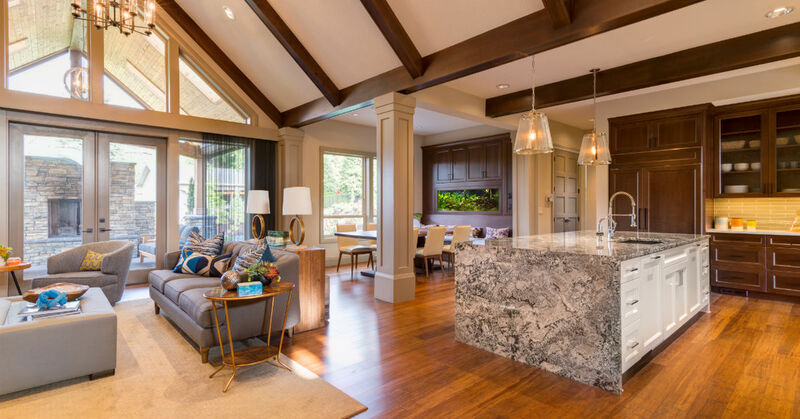 Homes which have been staged can convey the same impression with the potential buyer able to feel comfortable in the home and less concerned with potential damages. Also, since staged homes have had basic cosmetic problems fixed — like wall marks removed, nail holes filled, walls painted neutrally and more — buyers will be more enticed with the turn-key condition of the home. If you can impress a realtor, then they can impress their client. By staging your home, your real estate is likely to be more impressive than a similar comp that has not been staged. Not only does home staging provide an excellent walk through experience, it makes for much better photographs and marketing tools. We have years of real estate expertise here at Jensen and Company. Able to advise you on everything from when it is best to list your home to how to go about staging it for showings. If you are interested in selling a property and want the help of an experienced sales team, contact us today.